How was your summer? Was it filled with barbecues and a lack of restraint? Join the club! Fall is a great time to get it back together and I know that planning is the key to success. Myy friend, Kristen, came up with tool that works - Slender Kitchen Meal Plans. 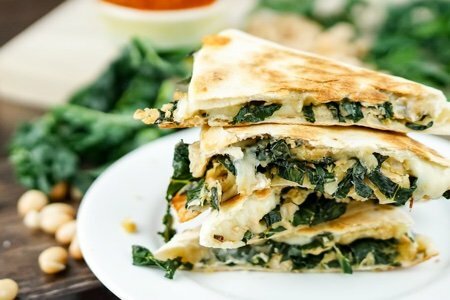 Below you will find her Rosemary, White Bean and Kale Quesadilla which is both nutritious and smart. This quesadilla recipe uses white beans to create creaminess so you need less cheese – and it is still delicious! She uses kale but you can use spinach, broccoli, or your favorite vegetable if you want to change it up. The Slender Kitchen meal plan concept is simple and powerful. Every week, Kristen sends you a plan each week - you shop and cook the meals. The meals are healthy, easy, and have all the nutrition information (including SmartPoints for those using Weight Watchers). You can sign up here - Slender Kitchen Meal Plans for either $8 per month or $48 for the year ($4 per month). Both subscriptions include a 14 day money back guarantee. 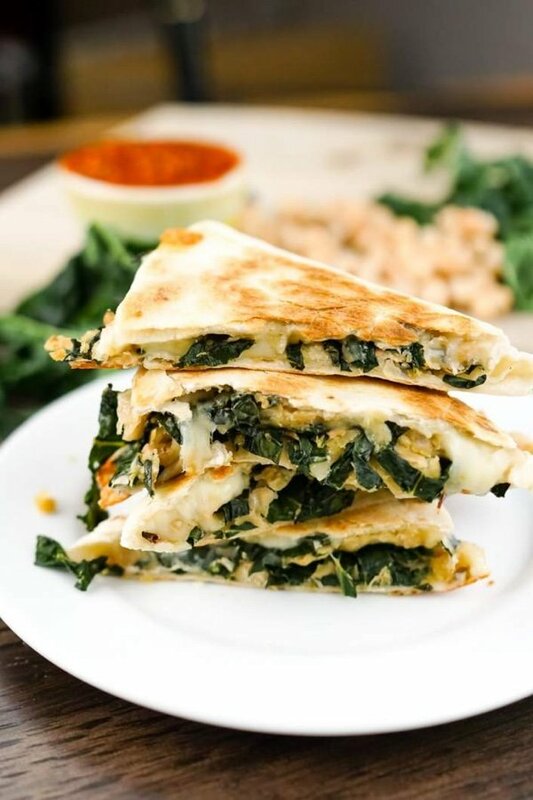 Try the quesadilla recipe below and check out Slender Kitchen Meal Plans for either $8 per month or $48 for the year ($4 per month). Both subscriptions include a 14 day money back guarantee. Heat the olive oil over medium heat. Add the shallot, garlic, and red pepper flakes. Cook for 1-2 minutes until fragrant. Add the kale and cook until tender, adding 1-2 tablespoons of water to prevent burning if needed. Add the cannellini beans and rosemary. Cook for 4-5 minutes until warm and tender. Remove and place in a bowl. Using a fork or potato masher, mash the beans. Season with salt and pepper. To make the quesadillas, spray the skillet with cooking spray. Cover one half of the wrap/tortilla with 2 tbsp. cheese. Top with white bean and kale mixture. Then sprinkle with 2 tablespoons cheese. Fold over. Cook on one side until tortilla is crispy and cheese has melted. Carefully flip and cook on the other side. Consider serving with marinara sauce, salsa, harissa, or tzatziki. Try doing this on a panini press! No spray, no flipping, no frying pan, just crispy goodness! I did something very similar last week with my Panini P and found that cheese on one side worked very well too. Kale and Beans is calling me now, thanks Lisa. I think I'll try a little shaved curls of parmesan [less fat I think]. This is really quite the high-class grilled cheese sandwich, LOL! Dear Foodies - you may already have a panini baker in your pantry and not know it. Take a George Foreman Grill; place enough trivets or cutting boards underneath the front edge to make it level with your counter and viola - a Panini Baker! What is the diameter of the wrap you used? Or, better yet, how many calories are in one of your wraps? I don't use gluten free because I have read tapioca starch and some of the other "gluten free" ingredients are not very healthy. I think I can find brown rice tortillas. Thanks! From a veteran vegitarian, may I say this is a beautiful (and flexible) recipe. It is so helpful to think of cheese as a contributor to good taste but not necessarily the main source of nutrition. Then you can indeed cut it back and let the beans shine through!!! This looks so yum. Can’t wait to serve it!